Johnson House offers contemporary living and is recently renovated with an outstanding central location. One and two bedroom apartments are available. These beautiful apartments feature: leather living room furniture, updated kitchens with breakfast bar, bar stools, twin beds, dressers, ceiling fans, and large closets, Other amenities include: secured bike and moped storage, sun deck & study room, underground and outdoor parking available. Professional management and maintenance are on-site. Heat, internet, cable, water and sewer included!!! 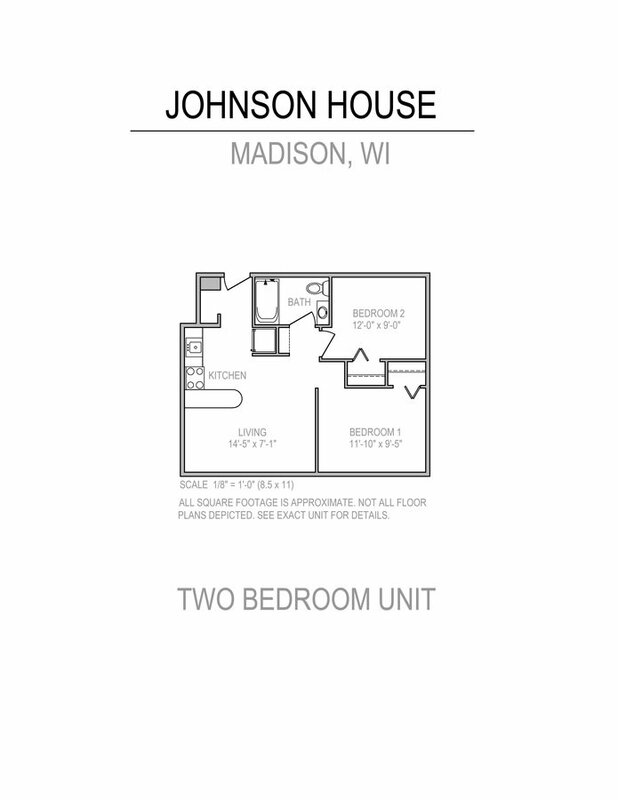 Come see what makes Johnson House one of Madison's most convenient and budget friendly campus apartments. 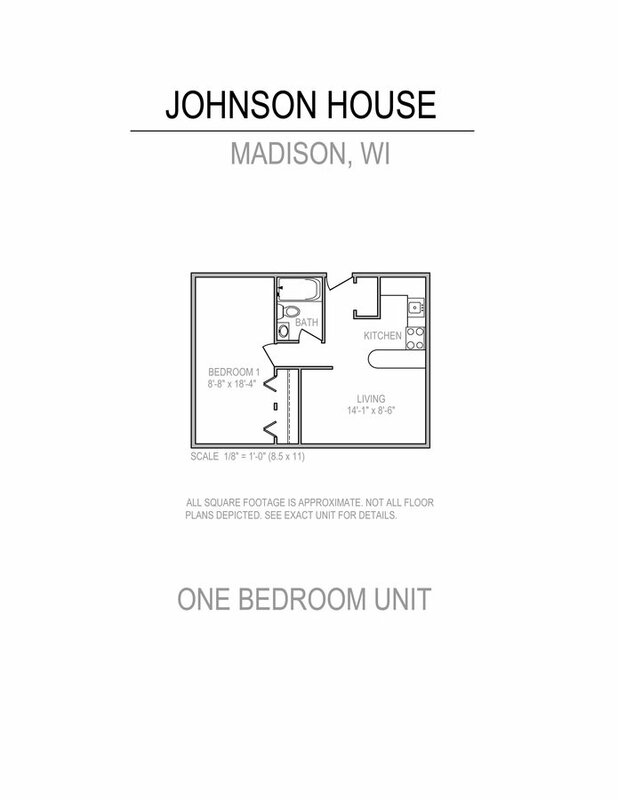 Property Manager: Forward Management, Inc.
Johnson House is located near the Bassett neighborhood just 0.17 miles from the center of Madison and 0.78 miles from University of Wisconsin-Madison. The property has a Walkscore of 96, so you will be in walking distance of everything you'll need on a daily basis. The property has a Transitscore of 63, so you'll have good transportation options. Johnson House has many shops nearby. Coffee shops in the area include Starbucks, Panera Bread, Daisy Cafe & Cupcakery. There are a number of markets in the area include Willy Street Co-op—East, Whole Foods Market, Fresh Madison Market.